France's Jeremy Chardy outlasted Chile's Nicolas Jarry 6-7 (1), 6-2, 7-6 (5) as his quest for another lengthy run at the Miami Open began Thursday. 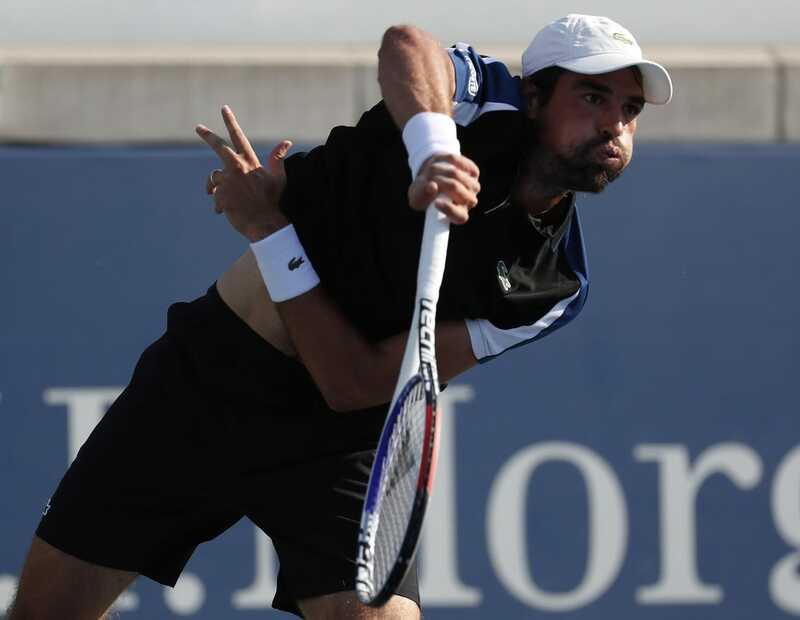 Chardy, who fell just short of reaching the quarterfinals at last year's tournament, won 72 percent of his service points in the 2-hour, 34-minute affair. He only faced break point twice in the match -- both in the 10th game of the first set -- while converting two breaks of his own. Also beginning their runs at Miami on Thursday were two others to make it as far as the fourth round last year. Portugal's Joao Sousa and Serbia's Filip Krajinovic pulled off straight-set sweeps over Taiwan's Chun Hsin Tseng and France's Pierre-Hugues Herbert, respectively. Fresh off an upset of Greek No. 9 seed Stefanos Tsitsipas at Indian Wells two weeks ago, 18-year-old Canadian Felix Auger-Aliassime rallied past fellow qualifier Casper Ruud of Norway 3-6, 6-1, 6-2. Auger-Aliassime struck eight aces in the win. Australia's Bernard Tomic will match up with top-seeded Serbian Novak Djokovic on Friday after downing Brazil's Thiago Monteiro 6-4, 6-1. Moldova's Radu Albot will next face Swiss No. 4 Roger Federer on Saturday after Australia's Matthew Ebden retired down 6-0, 3-2. On the event's Stadium Court, Bosnian Damir Dzumhur recovered from a rough first set to beat American wild card Christopher Eubanks 1-6, 6-4, 7-6 (5). Dzumhur overcame a medical timeout for back pain in the third set. "It was a good win at the end for me. I didn't have many wins this year. I was struggling with my confidence. I think in some matches I was playing good, but without confidence you cannot play. ... Today I was much better," Dzuhmhur said, according to the ATP website. "Matches like this ... they are giving you more energy, they are giving you a lot of confidence." Straight-set winners on the day included Dutchman Robin Haase, Spaniards Jaume Munar and Albert Ramos-Vinolas, Italian qualifier Lorenzo Sonego and Great Britain's Dan Evans. Americans to fall in their first match included Tennys Sandgren and Taylor Fritz. Kazakhstani qualifier Alexander Bublik rallied past Sandgren 5-7, 6-4, 7-6 (5), and Germany's Maximilian Marterer got the better of Fritz 6-4, 3-6, 6-3.